GLOBAL mining magnate Walter Berukoff, who is the owner of the Tuvatu Gold Mine project in Sabeto, believes Fiji has the potential to expand and grow its mining culture. He said the country’s Mining Act ensured the protection of the environment while encouraging business investments. “Many people are not aware of the mining culture and the well-structured Mining Act of this country,” he said. “Fiji, one of the few countries that I have worked in, has such a good rule of law that is interested in its environment and has a strong Mining Act. Mr Berukoff is the chairman and founder of Lion One Metals. He was the founder and CEO of Miramar Mining Corporation, Northern Orion Resources, and La Mancha Resources, and has operated or commissioned gold mines in seven countries. He is also managing director of Red Lion Management, a merchant banking company, and has raised over $1 billion for global mining and real estate projects. He said more than $100m has been invested by his company, Lion One Metals, into the Tuvatu project which he believes would produce high grade gold for the international market. 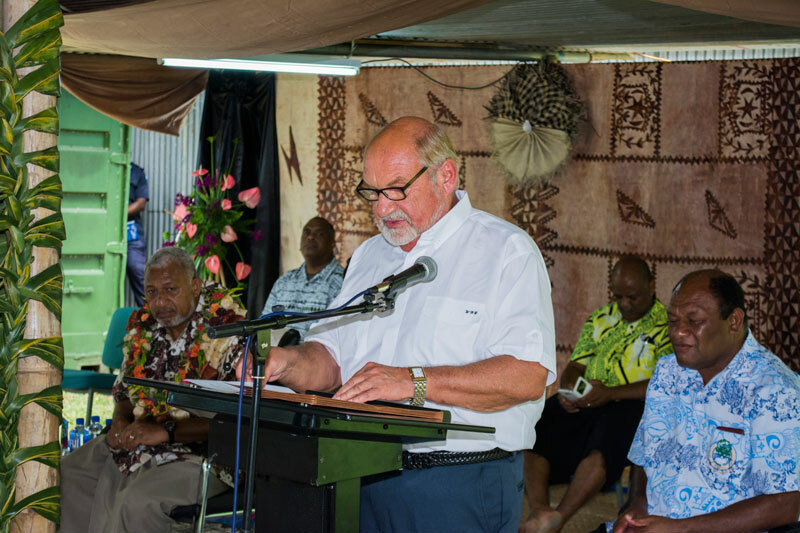 “Tuvatu is a mine for future generations,” Mr Berukoff said. Meanwhile, members of the Tuvatu landowning unit — Yavusa o Rarawaqa — from Nagado Village have welcomed the company with open arms. Unit head Milika Sura said the project meant yavusa members had a secure financial future. She said working with all stakeholders was important to their successful relationship.